In Part 1 of our 2015 NAGAAA Summer Meetings wrap up we delved into the changes being made to base running questions and now we’ll talk about the changes to the advanced hitting questions within the 27 point NAGAAA Player Rating Guidelines. Until the last few years the majority of protests, especially in the C & D Divisions hinged on the more basic offensive questions (19-22). Over the last several years a trend has formed with more protests being brought against players in the areas of base running (15-18) and advanced hitting (23-26). Let’s look at the questions we’re parting ways with first in regard to advanced hitting and then what the international voting delegation of NAGAAA replaced the old questions with. 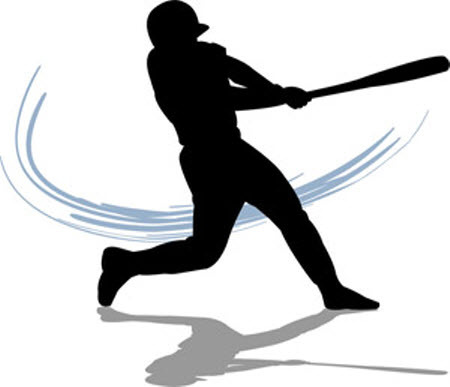 Questions 19-27 are intended to be answered based on the outcome – not counting walks – of each completed at bat (whether the batter reaches base or is out on the final pitch of the at bat), not based on the outcome of each swing during an at bat. The information above is outlining a “modified on base percentage” as the basis for figuring out if the player should have the question or not. Batting average is not applicable and would be ignored as it is not the criteria by which these questions are decided. Modified On Base Percentage does not count walks, but does count errors as a safely hit ball if the runner reaches on the error. Question #23 – consistently reach base safely on a batted ball against a limited level of defense? OR occasionally reach base safely on a batted ball against an intermediate level of defense? When breaking down this question one can see why it is so hard to be sure a player needs this question. The same problems that we saw with the former base running questions are occurring here too. First, let’s look at what consistently and occasionally are for hitting questions. Now that we have what occasionally and consistently mean in terms of hitting one must use their imagination to decide if the player could reach base safely against a limited or intermediate level of defense. This is exactly the same kind of ambiguity and subjective nature that we saw in the base running questions that were replaced. Forget for a second about how hard it would be for a player to take getting this question put on them with all of the murky criteria that is involved, but what about the people sitting on a protest committee when this question comes up? It would have to be hard for a committee to uphold a protest on this question because the entire question is based outside of reality. The committee most likely would have to create an imaginary scenario and then ask themselves if the player could perform up to a .600 modified on base percentage against a limited level of defense or a .400 modified on base percentage against an intermediate level of defense. To say this line of questioning within the rating guidelines is unclear would be an understatement. Question #24 – consistently reach base safely on a batted ball against an intermediate level of defense? OR occasionally reach base safely on a batted ball against an exceptional level of defense? More of the same. Imaginary criteria with defensive levels that most players will never see in a real game. Question #25 – consistently reach base safely on a batted ball with high velocity against an intermediate level of defense? OR consistently reach base safely on a batted ball against an exceptional level of defense? An intermediate level of defense is a theoretical set of players having skills greater than the limited level of defense but less than an exceptional level of defense. More criteria within an already near impossible question to give someone based on the definitions. It will make your brain liquefy in your skull trying to wrap your mind around it. Question #26 – consistently reach base safely on a batted ball with high velocity against an exceptional level of defense? The intention in how the old advanced hitting questions are analyzed and presented within this post isn’t to diminish the old ratings system. The 27 point player rating guidelines has served the membership very well since their inception. However, our game has changed. Our organization has changed and in many respects, the way we rate players and play the game has changed. It is time that the rating questions begin to reflect those changes in this different time. Now that we’ve looked at what we had, let’s look at what we will have in 2016 and possibly beyond. Just like with the base running changes, these adjustments don’t abandon all of the former questioning criteria, but it does strip away the defensive ambiguity when having to imagine a defense that simply isn’t there in the real world. Now, a player will be judged on their modified on base percentage against divisional teams. If the player hits the modified on base percentage against the divisional competition outlined in the question then you can fairly put the question on a player. However, as we noted in the base running questions there are no set amount of attempts for the player to qualify for the question. Take the new question #23 for example. This could be up for debate, but it appears that it is much harder for a D rated player to get question 23 under the new system. You’ll remember that the previous question #23 called for a .600 modified on base percentage against a limited level of defense. As we discussed in the base running post earlier this week, no D teams at the 2015 GSWS were at a limited level of defense. Those teams were BELOW a limited level of defense as defined in the NAGAAA Softball Code. The next logical step would be to have to hit .800 against a team rated at below a limited level of defense. This change falls more in line with what the next step should be for a quality hitter in each division. This will fundamentally change the way players are rated on advanced hitting questions because questions will be easier to legitimately prove and the thresholds have changed. No more imagination required. We are living in a new reality in relation to base running and advanced hitting. Finally, kudos to the NAGAAA delegates and to the Executive Board for getting something done on ratings. Whether these changes stick or players and managers like the difference will remain to be seen, but these folks deserve credit for trying to move our ratings process along to better serve the international membership. This entry was posted in Uncategorized and tagged NAGAAA, Ratings. Bookmark the permalink. Thanks for getting this information out there. However, earlier in the article it states that the “new” Q23 threshold for D players is 0.800 not 0.900. Is there an “8” vs “9” typo somewhere? One interesting trivia item…there are approximately 70 D rated players today who get Q23 (out of 8,000 D rated players). That was indeed an oversight. The necessary changes have been made. Thanks Pat! I like the new attempt at changes. But a few issues I see are one since errors count toward a players average a team can even purposely make an error and that hurt the team hitting or heck don’t even throw the ball to attempt an out. Books don’t really show things like this and since errors count toward average there is really not a reason to track them or mark them now. I do think velocity should have stayed in the equation as well. Also by getting rid of the fielding definitions on the level of a defense how do you define a D level etc..
Is there a minimum at bats to get a new hitting question added? The way I read it, if a player in C goes 3-3 in a game, he is now entitled to all the hitting questions. Any clarification? Hi Matty! Thanks for the question. As it was presented at the Summer Meetings there is no minimum required at bats per the ratings guidelines for questions 23-26 anymore. For example, to get question 23 against D Division competition a player has to have an .800 modified on base. Well that means that the player could go 3-3 for 1.000 and possibly be protested on it. That would be up to the discretion of the protest committee, but I would hope managers would keep their books to show if that one game is out of step with how the player normally hits. It’s going to be more crucial than ever for managers/scorekeepers to have those books with information readily available to show that one game isn’t the whole season picture. I’m curious how these definitions will be applied to Masters Division players going forward, especially once cities start having separate Masters Divisions.